Nothing beats a OKMH mail day. 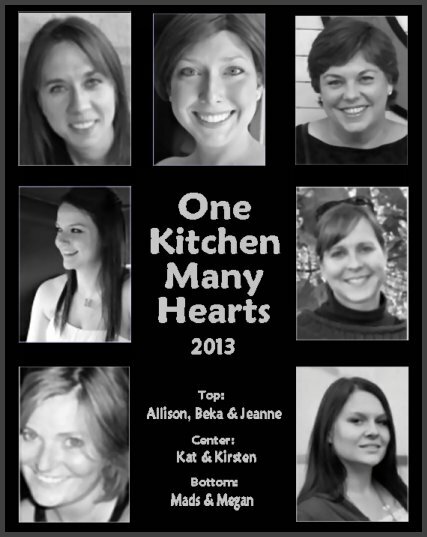 This month, our One Kitchen Many Hearts gang chose ‘Summer Picnics’ for our gifting theme. My box came from Kirsten of Comfortably Domestic from the northern regions of the great state of Michigan. Home of The Cherries (my favorite fruit). Did I mention she brought me a 4 pound bag of dried Michigan cherries when she came to visit in May? Because if there’s one sure way to get me to invite you down for a long weekend of antiquing, Texas Martinis and traditional southern cuisine, it’s to pack a huge bag of cherries in your carry-on (for future reference). For the record, this might just be my favorite theme to date. There’s so much going on in this box. Let’s just break it down into manageable bits, shall we? 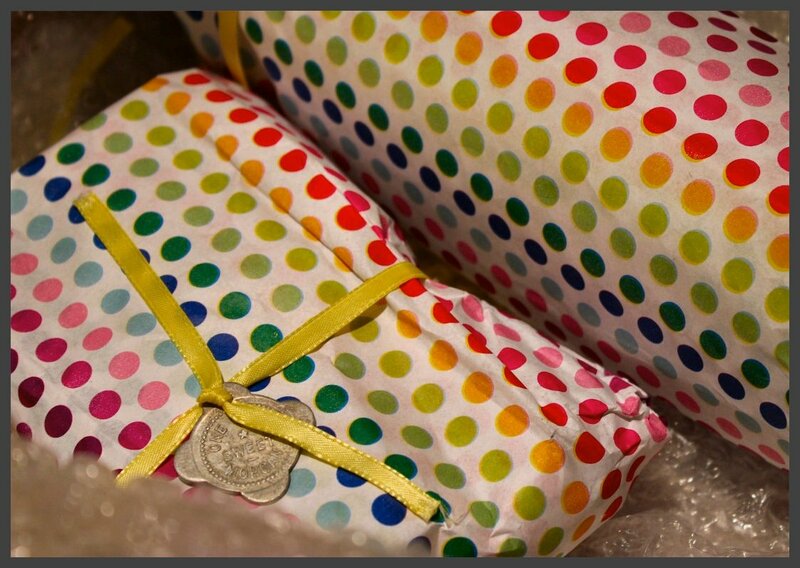 First, each parcel was lovingly wrapped in cute polka dot tissue and tied with a ribbon and a ‘cherry lug marker’ as a gift tag. You’re probably thinking “What the heck is a cherry lug?” Welcome to the club. I didn’t know about them, either. 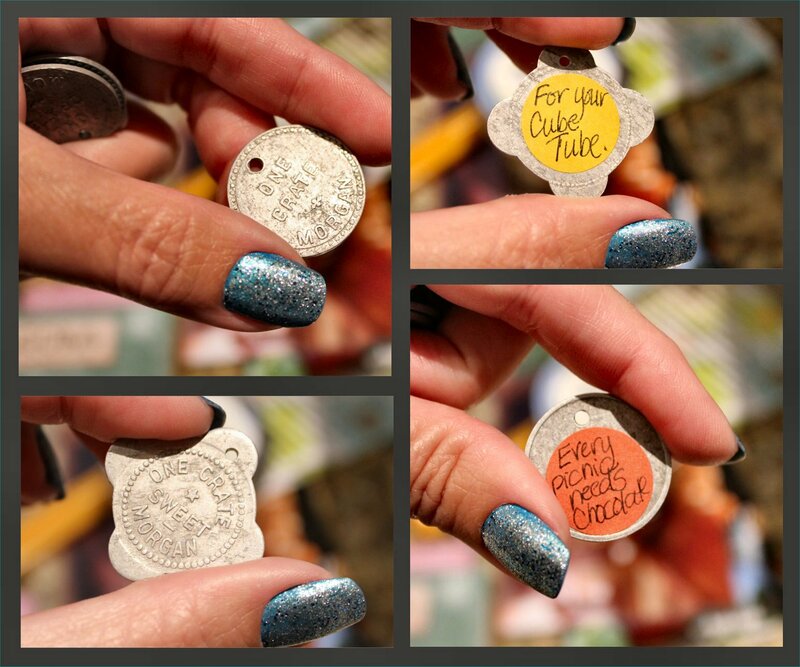 Here’s what Kirsten said in her card about them: “The tags are vintage cherry lug markers from Morgan Farms – now the spot of an exciting new subdivision. I thought you’d get a kick out of having a few pieces of (Michigan) history.” She’s right. I love them. Not sure what I’ll do with them just yet, but stringing them onto a charm bracelet has crossed my mind. What would you do with them? Kirsten knows me well. 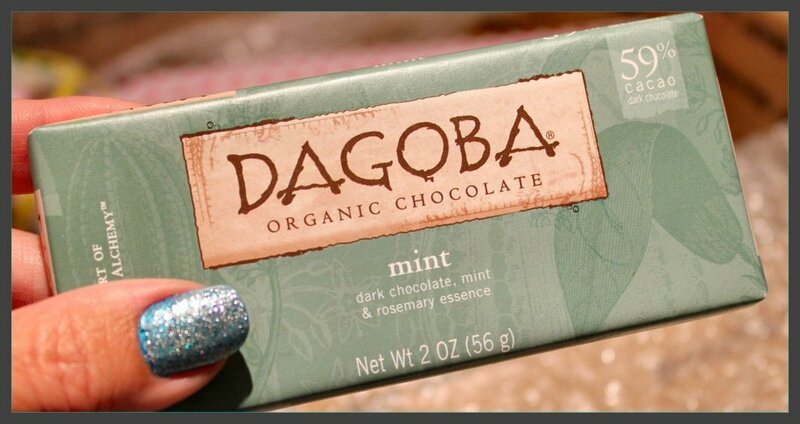 A perfect example is this Dagoba chocolate bar. While friends send friends chocolate, true friends know what you love and send the good stuff. The dark stuff. As a bonus, this one had organic mint & rosemary essence. It was all that and a bag of chips, as we used to say back in 1993. In case the chocolate didn’t soothe all things, she also threw in a jar of Ancient Healer Herbal Salve. Oh, baby… you should smell this magical potion! It smells of all the great herby things – rosemary, evergreen trees, and earth. 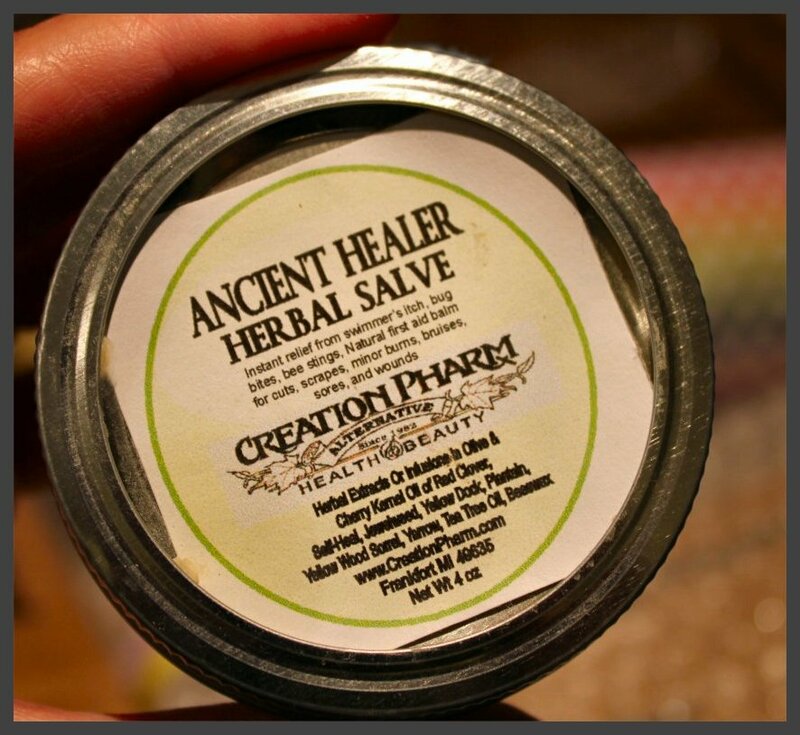 I love a good herbal salve. It’s my ‘go to’ ointment for burns, rashes or scrapes but is also perfect to soothe those summer sunburns. It’s lovely and perfect and made in Michigan. Know what else is soothing and made in Michigan? Wine! This beauty came in a separate box, shipped directly from the Brys Estate in Michigan (seeing a theme here?). It’s one of my all-time favorite whites – a . Ever tried one? If you enjoy a nice chilled white wine for summer, you need to try one. 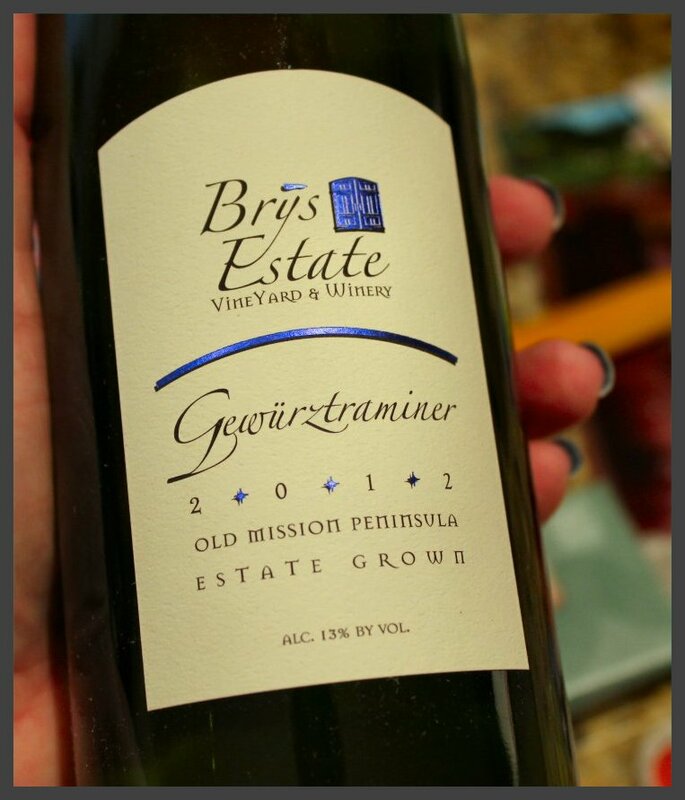 But you’ll have to get your own – this Brys Gewürztraminer in mine. All mine! (You can’t hear it, but I’m doing my evil laugh while hugging the bottle.) Kirsten also included two ‘travel size’ bottles of Jose Cuervo margaritas – the perfectly portable picnic potion. 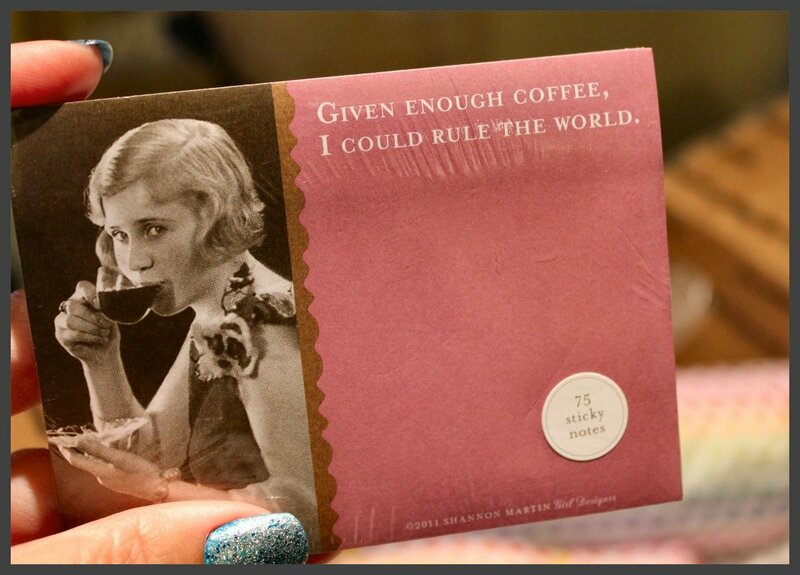 This cute post-it pad sums up how I feel about my morning coffee. As I said, girlfriend knows me well. She’s my sister from another mister. My pal from another gal. My… okay, I think you get what I’m saying. She gets me. She also has the memory of an elephant. I wish I had her brain cells for even a day. Menopause has officially robbed me of most of mine, but Kirsten remembers all the good stuff. Like this vintage find from an antique shop. We saw one while antiquing when she was down in May. 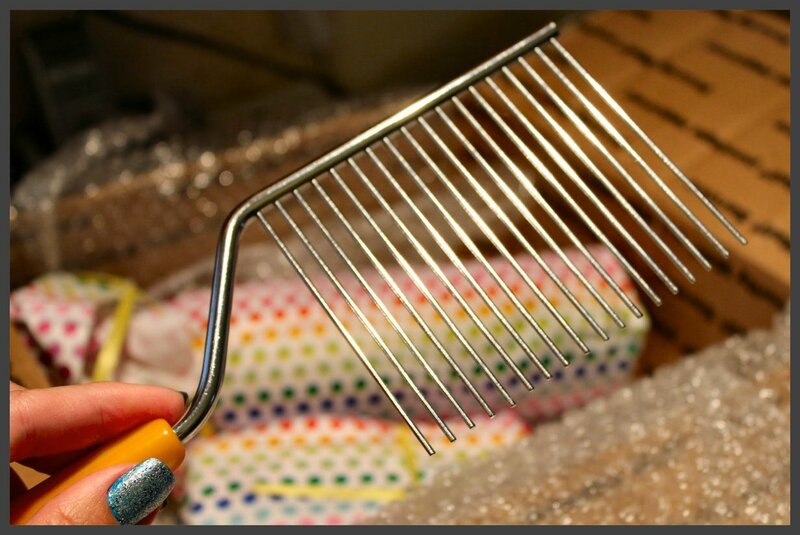 Next thing you know, there’s one in my June box. Do you know what it is? And a picnic isn’t a picnic unless it’s portable. Kirsten had that covered, as well. Check out these beauties! 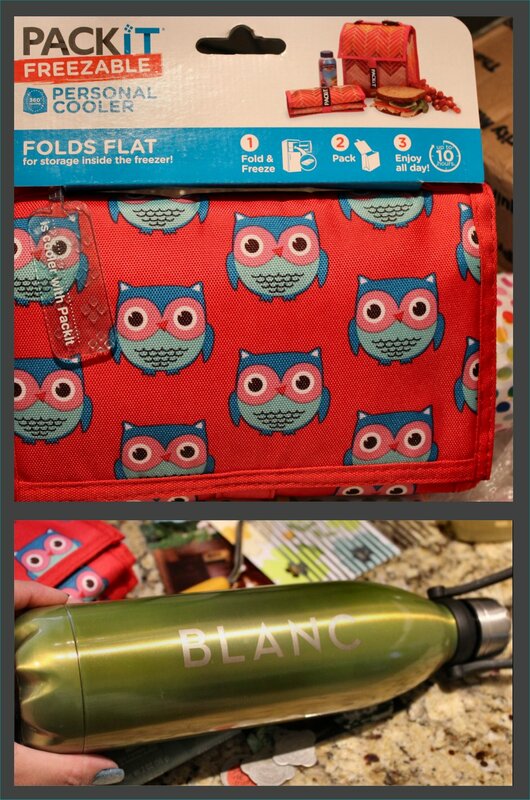 The first is a thermal insulated chill bag in a cute owl print. Who has two thumbs and loves owls? This girl! You pop the bag in the fridge or freezer to pre-chill, then pack and go. The second is a stainless steel thermal beverage bottle. In my favorite color, no less. It goes without saying that I love them both and will put them to good use this summer. 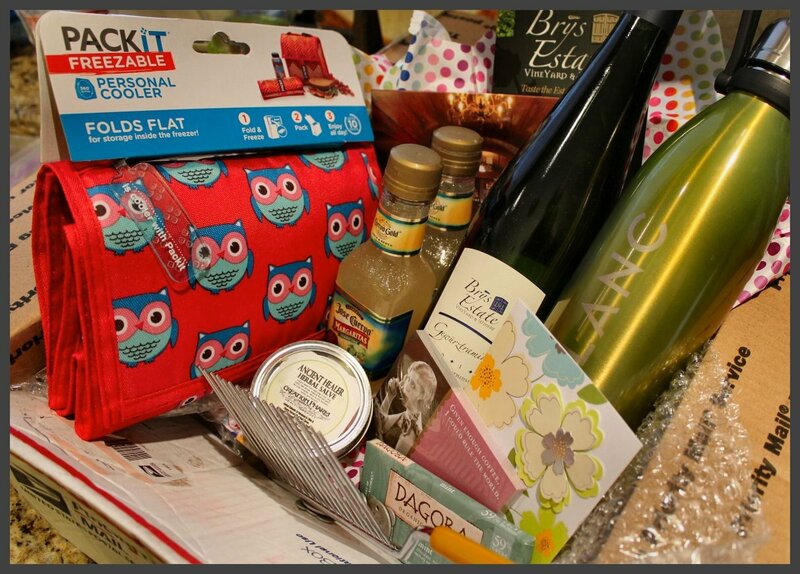 And there you have it – a perfect summer picnic box from my blogging bestie Kirsten. Nailed it! Now if you’ll excuse me, I have a potato salad to make and a chilled wine to chug. I mean sip. Yeah, I totally meant sip. To see what I sent to Megan, CLICK HERE.